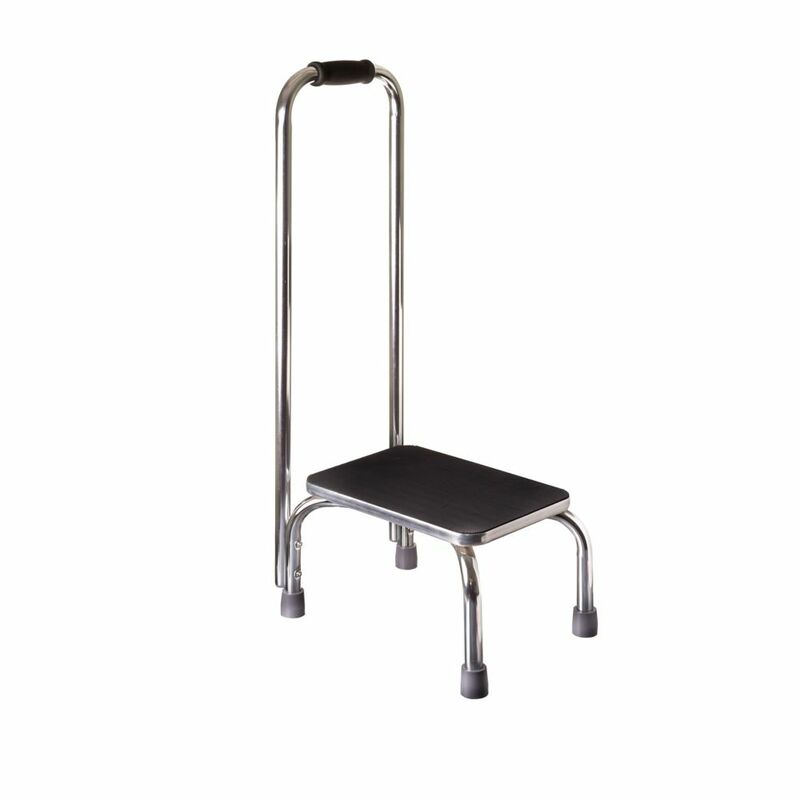 When you need to reach something on the top shelf or step up to a higher level such as a bed or vehicle, the DMI Step Stool gives you the height and stability you need. Unlike most step stools that provide no place to put your hands, the DMI step stool gives you a convenient handle to use to steady yourself. No more losing your balance as you climb to a higher level! You will also gain firm footing on the non-slip matting. Our O'Malley Pub stool is handcrafted from 100% solid select imported hardwood with a multi step antiqued finish and lightly hand rubbed edges. Decoratively, classically and substantially designed. Measures 24" high. We offer this stool in Ant. Black, Ant. White, Walnut and Weathered Oak. The patented Skinny Mini design and multipurpose folding project tray make this step stool versatile enough for any household task. The compact, easy to use design ensures easy storage, while large feet and a safety hoop with comfort grip offers safety and stability for the user. This Featherlite 2 foot aluminum step stool has a load capacity of 300lbs, rated ANSI Type IA. This ladder is equipped with a wide top, pinch-proof spreader arms, heavy duty gusset bracing, and slip-resistant boot. The Featherlite FL-2010-02 meets or exceeds the safety standards set by ANSI, CSA, and OSHA. The EasyReach by Gorilla Ladders 2-Step Molded Plastic Stool is the perfect climbing tool for the kitchen, garage, or office. The large standing platform offers a secure working area, and the non-slip treads and feet add stability and safety. Includes handle cut-outs for easy transport, and rated to 325 lbs. Safety Step Stool with Handle When you need to reach something on the top shelf or step up to a higher level such as a bed or vehicle, the DMI Step Stool gives you the height and stability you need. Unlike most step stools that provide no place to put your hands, the DMI step stool gives you a convenient handle to use to steady yourself. No more losing your balance as you climb to a higher level! You will also gain firm footing on the non-slip matting. Safety Step Stool with Handle is rated 4.5 out of 5 by 43. Rated 4 out of 5 by HomeDepotCustomer from Sturdy. Easy assembly. Good night.... Sturdy. Easy assembly. Good night. Rated 3 out of 5 by Jan from A very sturdy stool for my kitchen. It's so handy... A very sturdy stool for my kitchen. It's so handy when I'm using the microwave. I can now see how things are progressing. Rated 5 out of 5 by Jack from Hand one for years to help invalid wife get in and out of bed. Buying another! Hand one for years to help invalid wife get in and out of bed. Buying another!